Weighs just 185g and measures just 20 x 8cm. Unrolled it will take any shotgun up to 130cm long. Weighs just 274g and measures just 26 x 7cm. 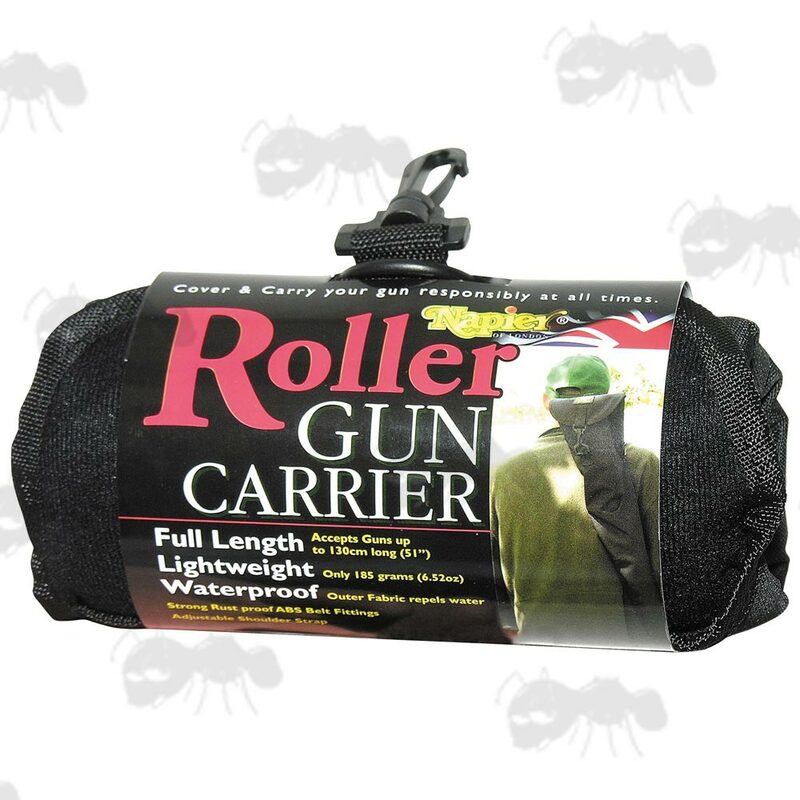 Unrolled it will hold any rifle with a large scope up to 122cm long. 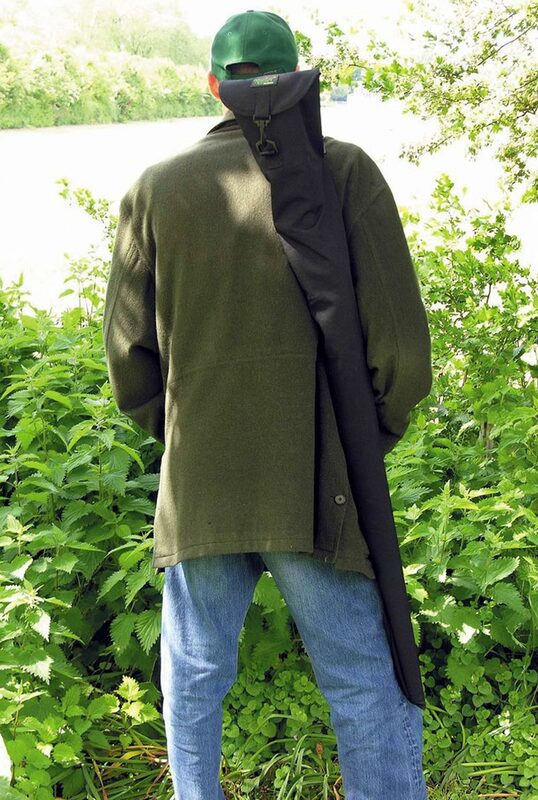 Designed to roll so small they can be literally hung from your belt loop, always there and ready to accomodate, protect your gun from minor knocks and scratches, but most importantly, ensure that it is covered when out in public. Strong black outer material is lined with 2mm foam padded flock for protection, it has a reinforced end cap, adjustable webbing shoulder strap and strong rust proof ABS fittings. Less to carry yet secure and waterproof. 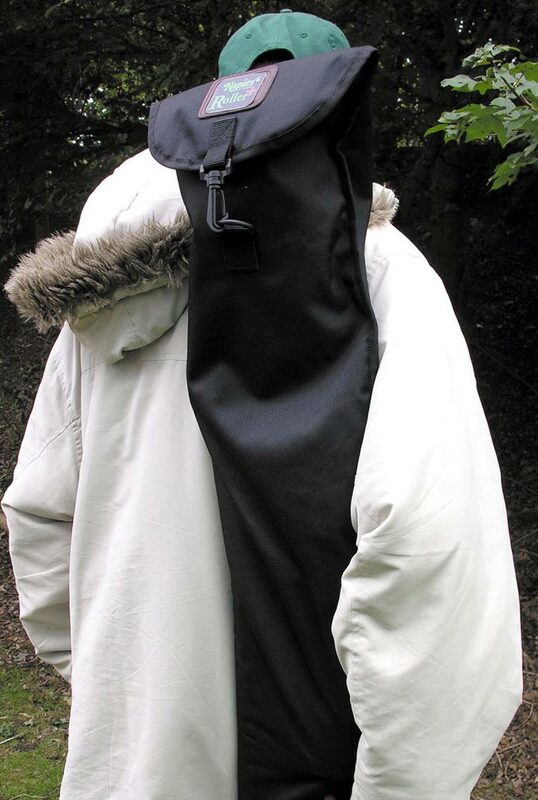 Fast and simple to use in the field. 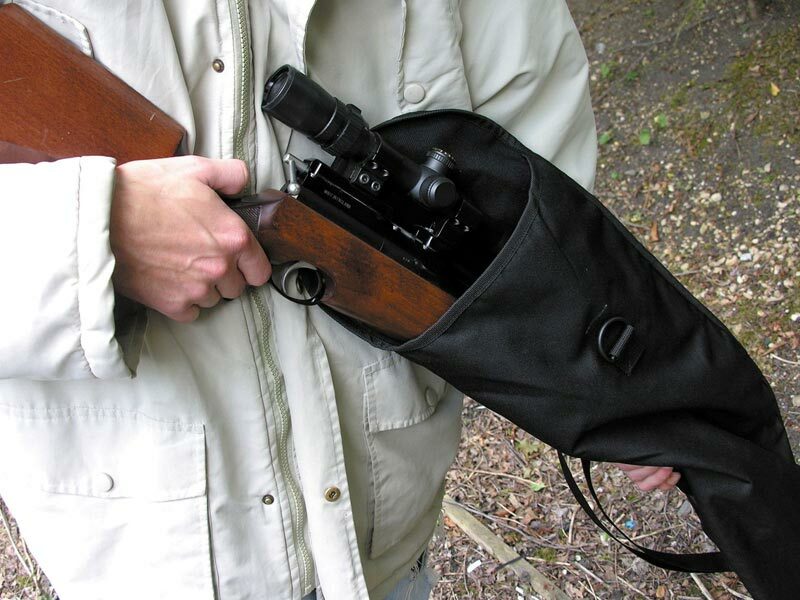 To stow, roll from the muzzle end with the strap uppermost, pass the fastener through the D-ring, and simply clip to the belt loop. 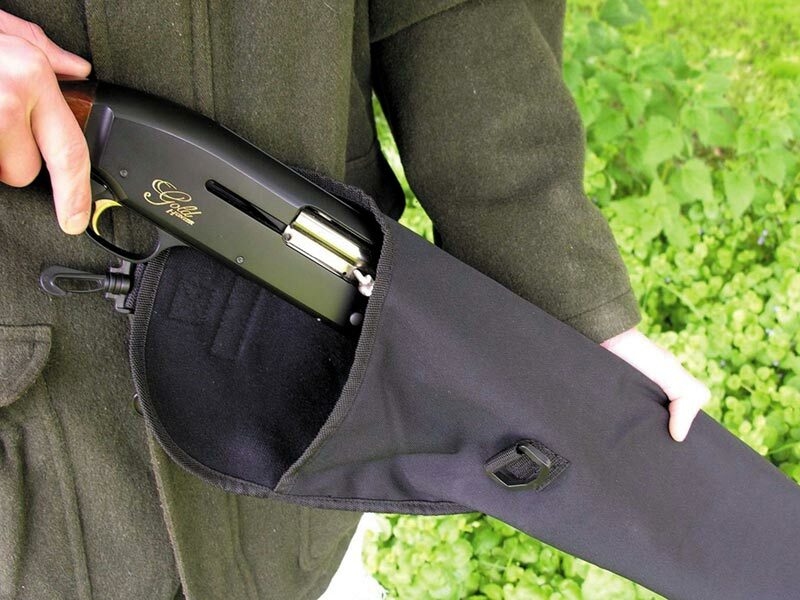 Roller shotgun carrier, is ideal for pigeon shooters, and for clay shooters between stands, it is always on hand and ready to use, a great alternative to carrying a conventional gun slip. 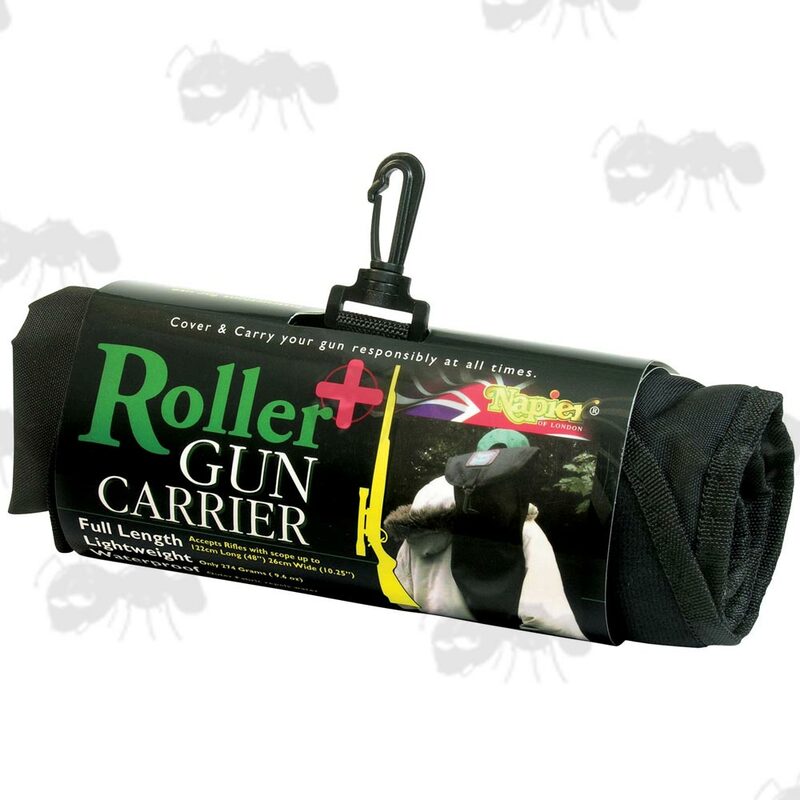 Roller+ rifle carrier, has a shallow curved profile also allows many guns to be stowed with the bipod attached and this makes it simple and quick to use.